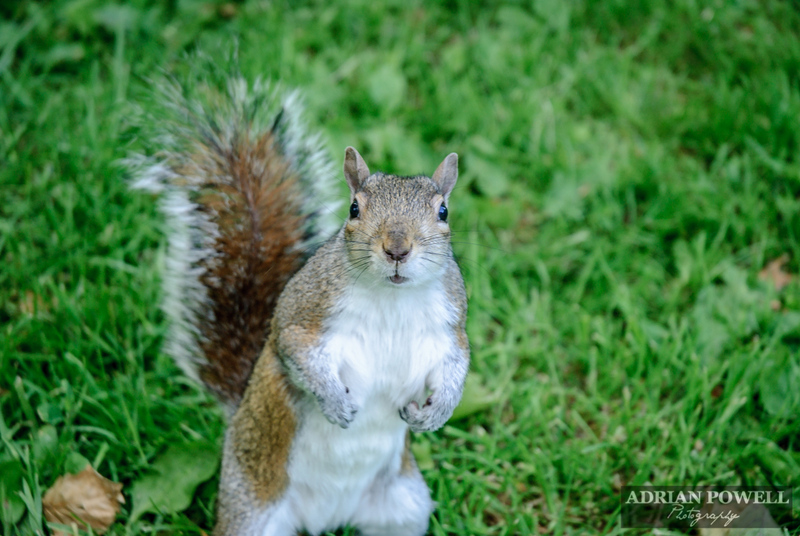 This little fella came up to within 1m of me in the middle of Green Park last Friday evening – I’ve seen them climb people in Regents Park to get crisps…and I don’t doubt that he’d have done the same if I had had some food with me! As it was I didn’t, but he seemed quite interested in the click of my camera! This was one of the best of about 5 shots of him on the ground. Nothing special done in the post processing in LR5 for this shot – desaturated the colours a little and applied a radial filter to darken the surroundings.